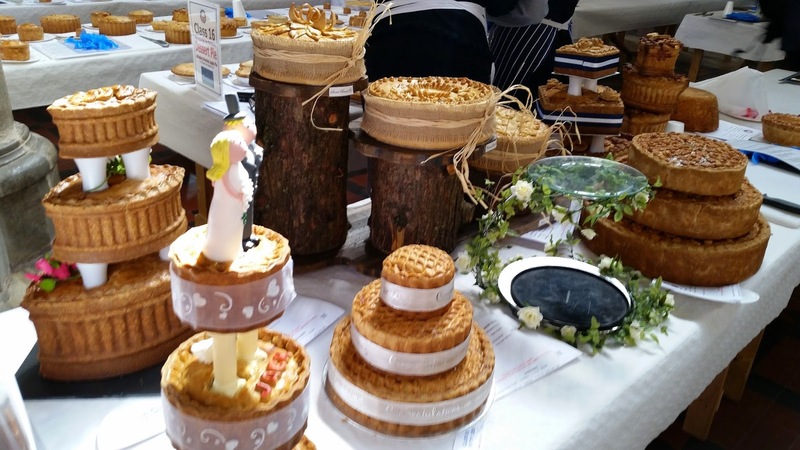 All eyes were on Melton Mowbray for the British Pie Awards 2015, once again showcasing the top pies Britain has to offer! 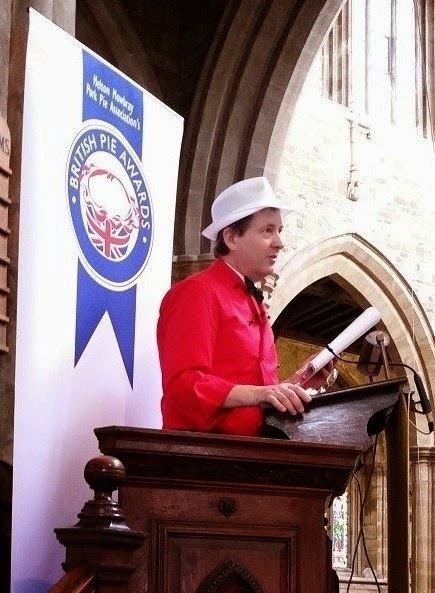 Celebrating its seventh edition, the British Pie Awards were held in St Mary’s Church in the heart of Melton Mowbray, a spectacular setting in the home of the pork pie. As well as live blogging the event for the first time, the Pierateers were once again one of 100 judges to rate their way through over 800 pies in 20 different classes, which ultimately saw the Great North Pie Co take the title of British Pie Awards Supreme Champion 2015! See our thoughts on the Goosnargh Chicken, Mushroom & Cream pie which won the competition for the Great North Pie Co. Indeed, it was an incredible achievement for the Great North Pie Co this year, who not only took the Supreme Champion 2015 title with their Chicken, Mushroom, English Mustard and Cream Pie but also won the Small Producer Award, in addition to the Beef and Any Flavour class, Chicken and Vegetable/Herb class and Fish Pie class! The win built on a successful British Pie Awards 2014 and their “Great North Meat Pie” being awarded Pierate Recommended status last year. We will certainly be back for more! There were a whole host of familiar faces when it came to the top awards this year (see the full list of winners), with the highly sought after Melton Mowbray Pork Pie (Class 1) title going to Dickinson and Morris, another strong year for Boghall Butchers in a range of classes, Piebury Corner winning gold in the Chicken class and Nice Pie following up their Small Producers victory last year with a win in the Speciality Class: The Brides Pie (with a Chicken, Champagne and Truffle Pie! ), while Pieminister were second in the class with a spectacular “Big Night Wedding Drum Pie”. Following on from last year’s major success in being awarded Supreme Champion 2014, Morecambe FC and head chef Graham Aimson once again secured top football pie with their Chicken, Ham and Leek Pie and also won the Dessert Pie class once again with their Bramley Apple Pie. 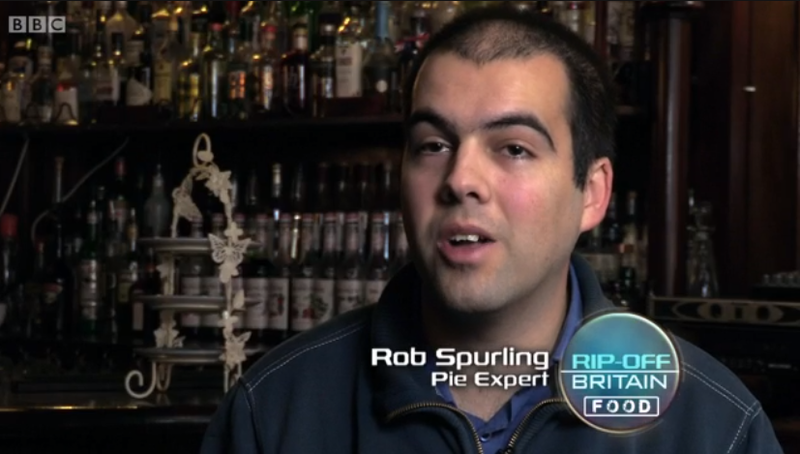 Have you seen last year's British Pie Awards winner Graham and our very own Pierateer Rob talk football pies on BBC One's hit show Rip Off Britain? If not, click here to find out more! Rachel felt it was a very “on trend” category, with more people wanting gluten free products these days, including of course gluten free pies! Fillings included Balti vegetable, goat’s cheese and pepper, beef and pork pies. Rachel was very pleased to be called on to judge the category and, while a few of the pies appeared to be slightly over baked in order to hold together, was generally impressed with the quality of the gluten free pastry on show. In addition to this, we were delighted to chat to Andy Bates, who you will recognise from the Food Network TV Channel and was compere of the British Pie Awards Lunch, which involved announcing the class winners and handing out the trophies on the Thursday. He had the huge responsibility of judging the Melton Mowbray Pork Pie class on Wednesday! We also asked food critic Charles Campion why he returns to judge at the BPA year after year, getting a classic reply! "What a foolish question! What could be better than sitting in a lovely church full of delicious pork pies? It's like I've died and gone to heaven!" - We quite agree! This year Pierateer Sam took on the duty of rating Britain’s best pies, being placed in the Speciality Meat Pie Class. This covered a whole range of alternative meats to the traditional beef, chicken and pork, with entries ranging from venison to squirrel and kangaroo to duck. “I was very happy to have been put on the Speciality Meat pie category as this involved a large number of types of meats and flavours. It kept things a bit varied and interesting. That said, it was a bit hit and miss. None of the top three were pies we had judged so perhaps we were a little unlucky and didn't get the best ones. Highlights that we judged included a duck and blueberry pie (which worked much better than I expected), pork and apricot and a pork, cider and mustard. We had quite a few venison pies to score, some duck and some game pies. Of course the last word at such an event as this should go to one of the chief event organisers – Stephen Hallam. An integral part in proceedings on the day, Stephen has also been on the Chris Evans Show on BBC Radio 2 and Channel 4’s Sunday Brunch promoting pies and the British Pie Awards. He felt the status of the British Pie Awards was growing year on year, with for example this year being the first that all the classes had been sponsored. However in order to add further gravitas to the awards next year, it was announced that the awards would be moving forward to 9th March 2016, to tie in with British Pie Week and create a mega week of pie action! We for one can’t wait! Until then, we'll be adding to over 500 pies that we've rated and reviewed on the web's leading pie review website. And we'll be sure to try out plenty more of the British Pie Awards 2015 winners in the months to come! Follow www.Pierate.co.uk's board British Pie Awards 2015 on Pinterest. 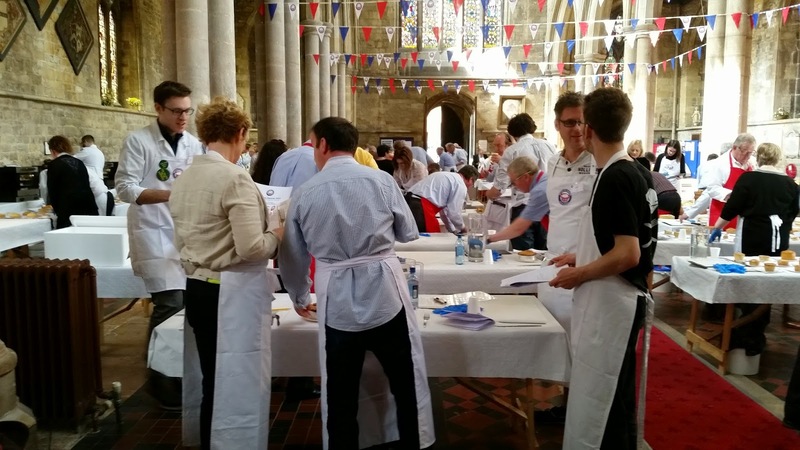 Read fellow pie judge Jennifer John's experience of judging at the British Pie Awards 2015 here. When you coming to Whitby then boys to sample some of Humble pies fare. Sorry! It's just a little way away for us. We will certainly let you know when we are in the area.